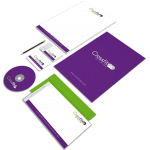 At M7Print we have full bundle for stationery to suit every business, from a Starter to Premium you will find all here. Our Packs includes Letterheads, Compliment Slips and Business cards. NotepadsNotepads are perfect for meetings and training events. They can also be used has a corporate gift or promotional tool to reinforce your brand. EnvelopesDL envelopes over-printed on 100gsm white contract envelopes, self-seal. Heavy ink coverage of over 30% may incur a surcharge. FULL COLOUR COMPLIMENT SLIPS Elegant letterheads printed on a quality 120gsm paper. Size: DL (99x210) Printed Single Sided. Printing Is Just Part of What We Do. for Design, websites and any Branding related queries please get in touch with us!